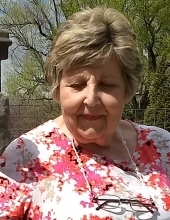 Carol Ann Stone Rebman, 73, of Martinsville, VA passed away unexpectedly on April 6, 2019. She was preceded in death by her father, Robert S. Stone, Sr. (Pulaski, TN) and her brother, Robert S. Stone, Jr. (Knoxville, TN). She is survived by her mother, Caroline Lumpkins Stone (Martinsville) and her husband of 50 years, Ronald Rebman. She is also survived by her aunt and uncle, Eleanor and Joseph Stone (Catonsville, MD); nephews, Robert B. Stone (Franklin, TN) and William A. Stone (Knoxville, TN); her cousins, Anne Vandegrift (Burtonsville, MD) and Lisa Metzger (Tampa, FL); and two sisters-in-law, Karen Stone (Knoxville, TN) and Elisabeth Rebman (Colorado Springs, CO). Carol was born in Pulaski, TN and was a graduate of the University of Cincinnati’s College of Design, Architecture, and Art. She was the first woman in Virginia hired by the Virginia Department of Health to work in Environmental Health. She worked in the Rappahannock Area Health District (Fredericksburg, VA) for 33 years. She was a member of First Presbyterian Church and active in several community activities. She served as President of Soroptimist International, Fredericksburg, in supporting professional women, member of The Daughters of the American Revolution, Piedmont Arts Guild, and Women in Philanthropy. There will be a private internment service. A memorial service will be scheduled for a later date. In lieu of flowers, the family suggests that memorial be made to First Presbyterian Church, Martinsville or the Fellowship Fund of Sunnyside Communities. To send flowers or a remembrance gift to the family of Carol Ann Stone Rebman, please visit our Tribute Store. "Email Address" would like to share the life celebration of Carol Ann Stone Rebman. Click on the "link" to go to share a favorite memory or leave a condolence message for the family.